← Take Your Weight Off Of Me. This entry was posted in Events., Music. 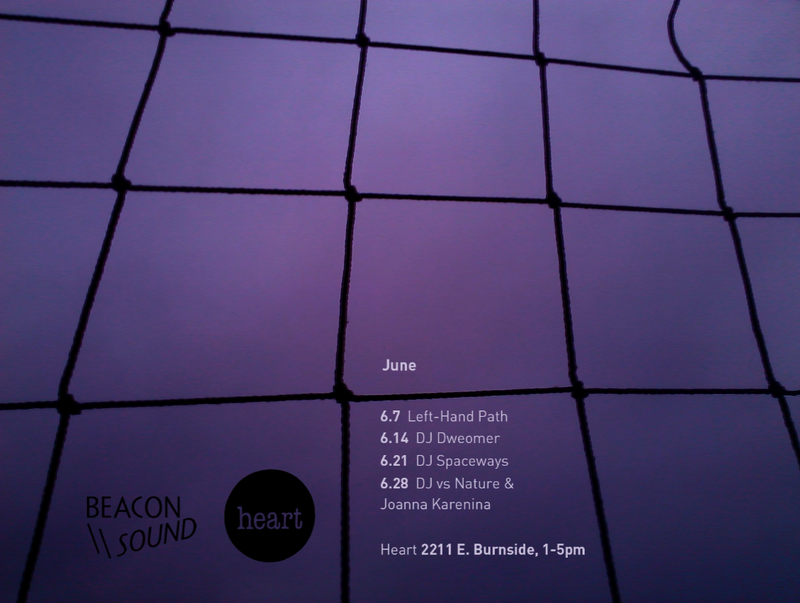 and tagged Beacon Sound, Coffee, DJ, Friday, Heart, Heart Coffee, Heart Roasters, June, Left-Hand Path, Music, New, Portland, Poster, Records, Vinyl. Bookmark the permalink.